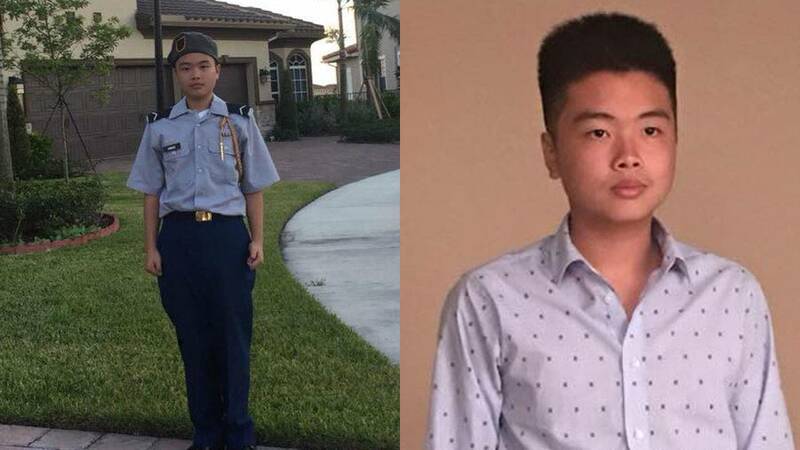 PARKLAND, Fla. - Peter Wang, a member of the Junior Reserve Officer Training Corps who had dreams of going to the United States Military Academy, died in a school massacre Wednesday in Parkland. He was 15. The Marjory Stoneman Douglas High School freshman died in his JROTC shirt, while helping others escape, according to his friend, Gabriel Ammirata. Witnesses told the family they had last seen him holding the door for the panicked crowd. Ammirata described him as caring friend who loved anime movies. Wang was of Chinese descent. He was born in Brooklyn, New York. His family moved to Miami-Dade County when he was a little boy. They were planning a Chinese New Year feast for Thursday, but a gunman, authorities identified as Nikolas Cruz, is accused of killing Wang and 16 others with an AR-15-style rifle. Wang's parents and two younger brothers survive him.